Since January 2006. Last update January 17, 2016 Copyright (C) rondely.com. All rights reserved. If you are a buyer of translation, probably you've heard literal translation doesn't work. But with English-Japanese translation, word-for-word, phrase-for-phrase and sentence-for-sentence really don't make sense. Why? OK. Japan is no more an economic giant and its sun holds its sinking position for decades. But it's still there in the World Map stoically poised in whatever condition, earthquake, tsunami, storm... you name it. Hanging low in the western sky, its sun will (hopefully) never set in. Difference floras in different parts of the globe, but the beauty of flowers is universal. Flowers in Japanese mountains, fields and roadsides amature-pictured shown combined with amature-composed haiku poems (namely by me!). 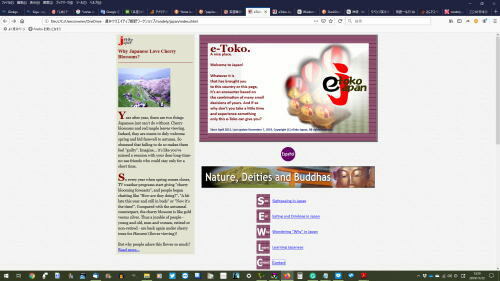 English study site for Japanese featuring various resources J-E glossaries, learning tips and other resources based on the creator's on-the-job experience and self-taught learning. 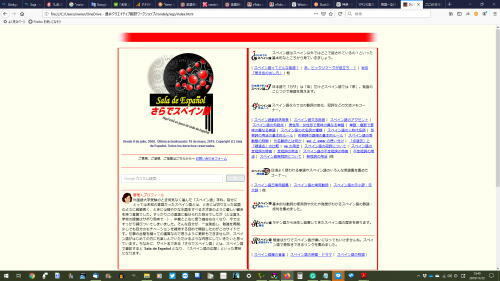 Spanish study site for Japanese including various resources also created to maintain the author's motivation to keep in touch with the language. Hijiyan, a great lover of gure (Girella punctata ) shares his fishing quest almost every week. Make a Difference with Dazzlingly Attractive Presentation Deck! A boring presenation can kill the chance and so does a tedious and monotonous pitch deck. What's worse, this boring presentation deck can walk alone among hands who are not present in the pitch session. Some down-to-earth minds may think, "Just give me the whole fact, only the fact, nothing but the fact. No personal touch, no colors, no decoration whatsoever!" But business presentations are not legal procedures. You can make it unique, personal and fun! Just like body language can greatly help your communication, why not font colors and sizes, arrows, cool imagery that can enhance your presentation?